When you talk about the weather with Kris Allred, it’s not about making chitchat. 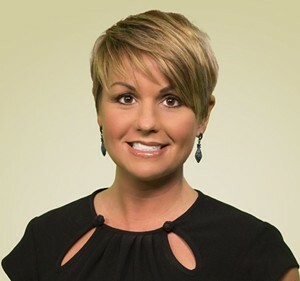 There’s no topic more serious for the chief meteorologist at WSAV, who has dedicated her life to studying the changes in the elements that can bring us sunshine-y days or disastrous tempests. The science of the skies first caught her interest when her grandfather, who had lost his leg from a rare type of aneurysm, used to experience phantom pains whenever a storm was coming. “The weather would change, and he would feel it,” recalls the Alabama native. That led to a research paper in high school about how weather and climate affects us physically and psychologically, and the budding atmospheric enthusiast began watching the local news for the nightly forecast. That’s when she noticed something a little uneven in the broadcast. “It was all men reporting on the weather in the Birmingham markets, which I thought had to be a mistake,” she says with a laugh. The determined student decided on her career at 17, graduating from Alabama and earning her Masters’ at Mississippi State. She’s been applying her knowledge to Savannah’s clime since 2007 and documenting all manner of atmospheric phenomena on her fascinating blog, Weather She Wrote. While the heat, humidity and storms are dependably present, she acknowledges that predicting Savannah’s weather isn’t an exact science. “We have several different models that we look at every single day to try and determine what’s going on and where it’s going,” she explains, adding that the government has decreased its funding of weather departments across the country and that most of her colleagues now use European models for better results. Strange weather patterns put her on edge, and she says that climate change is indeed a thing. A few years ago, drought threatened the entire state; this year rains flood the streets, but she’s most concerned that the seasonal tropical activity of past decades has dropped away. “It’s been really quiet lately,” muses Allred, adding that in her field, it’s all about the “H” word. Outside of the weather room, her life revolves around her kids, ages 12 and 9, and her regular workouts at the YMCA. But when the clouds start building and the thunder starts rumbling, this master meteorologist can’t wait to get back to the radar screen.